Note: From time to time I share notes about the books I’ve been reading, or have revisited recently after many years. These posts are meant to help me remember what I’ve learned from books I’ve found especially useful, and to point out to readers titles I think are worth consulting. 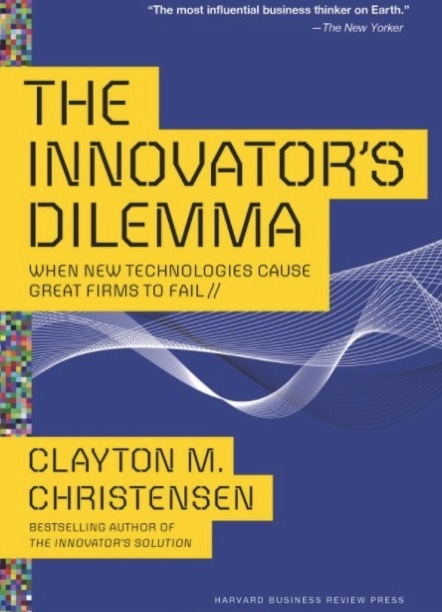 In this 1997 business classic, Harvard Business School Professor Clayton Christensen pioneered the theory of “disruptive innovation,” the phenomenon in which upstart firms displace established ones by taking advantage of emerging technologies. To really understand what “disruption” means, avoid 95% of the tech commentary you’ll read on the subject, and go right to the source: this book. It’s impossible to avoid the word “disruption” these days. Company X is disrupting company Y, a pundit might say. Or someone at a startup you’ve never heard of will proclaim that their company is “disrupting the [fill in the blank] space.” That sort of thing. But people often use the term incorrectly, as a trendy way to say “competing with” or “shaking up” a sector. You should read this book to understand what “disruption” really means. Technological “disruption,” as Christensen illustrates through historical examples, is what happens when upstart companies dislodge dominant firms with their often less expensive products that are at first deemed to be insufficient to meet large customers’ needs. But then things shift and the previously inferior offerings displace the mainstream ones. For example, 3.-5-inch disk drives came along that larger manufacturers eschewed because most of their customers needed bigger ones. But then desktop PCs rose to prominence, and they required smaller drives, and it was too late for older manufactures, who hadn’t introduced newer products, to catch up with their faster-moving rivals. Another example: Small Honda motorbikes didn’t take off at first in the U.S., but then people realized they were great for dirt biking, and even getting around town, and they eventually disrupted companies making larger motorbikes. And so called “mini mills” at first offered lower-quality products than larger steel mills, but then their technology improved rapidly, and they disrupted traditional integrated mills. Crucially, some forget that the “dilemma” in the title refers to the fact that many well-run, highly profitable firms are often disrupted despite that the fact they seem to be doing all the right things. That is, they are making money, satisfying their customers, and delivering value to shareholders. The dilemma is that precisely by doing those things, however, they become vulnerable to new, disruptive technologies. 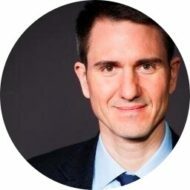 They are giving customers what they want, so why should managers change course? A major problem: Customers often don’t know what they’re going to want a few years down the line, and when market demand shifts, an upstart firm may have come along and already started offering it.